Thomas’ English Muffins, the iconic maker of English muffins, bagels and other baked goods, wanted to celebrate the 135th anniversary of its flagship product, the English muffin. Vault Communications was tasked with planning and executing a national media relations campaign that would mark this milestone for its consumers. 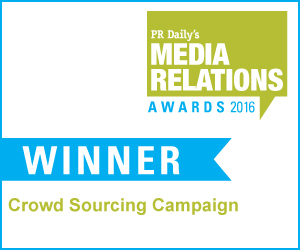 It did so—and won first place in the “Crowdsourcing Campaign category of PR Daily’s 2016 Media Relations Awards. 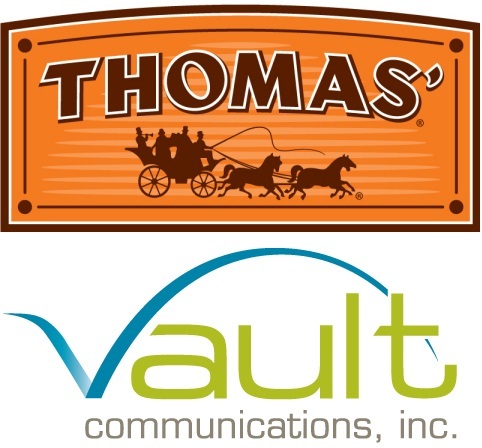 Vault based its strategy on a contest for consumers: The “Hometown Breakfast Battle,” timed to coincide with National Breakfast Month in September 2015, began with the identification of 135 chefs from target markets around the U.S., each of whom submitted a locally-inspired breakfast recipe using a Thomas product. Chefs were selected based on their local and social media popularity. A microsite housed chef bios, videos, recipes, photos, and a live social media feed. Consumers voted up to three times daily in multiple rounds, with one consumer winning a $10,000 grand prize. Vault’s media outreach, which acquired more than 620 media placements (more than Thomas’s placements for all of 2014 combined), fueled consumer interest and led to 480,000 votes cast during the six-week competition, with 61 percent of voters returning to the site to play every single day. As if those results aren’t enough, sales grew 4.2 percent during the contest, the ultimate proof of an effective marketing effort. A multimedia press release announced the campaign; another announced the winning chef. Each of the 135 markets was also the focus of a media relations campaign spotlighting the market’s local chef, all of whom got media training and a media toolkit. Engaging both local chefs and consumers, while boosting sales and brand awareness, the contest was an innovative approach to engaging consumers in an anniversary celebration. Congratulations to Vault Communications’ Kate Shields, Leanne Scott Brown, Lauren Wattie, Allie Artur, Abby Rizen, Colleen Lynch, Amanda Michelson, Amanda Polyak, Lauren Nick, Kellsey Turner, Sara DeViva and Felicia Schwarz.